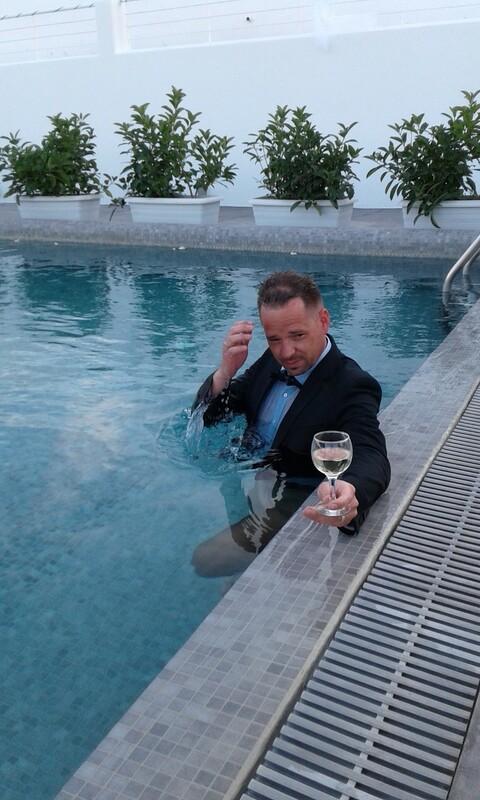 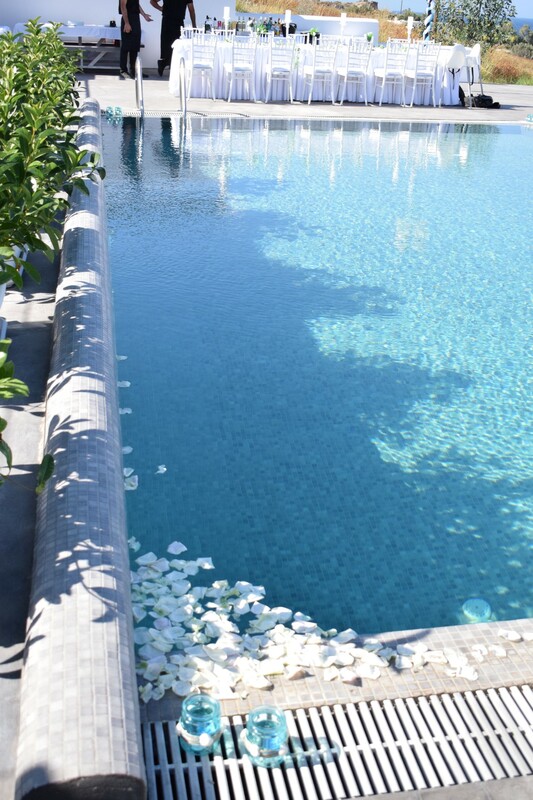 Welcome to Sea & Sand luxury private complex . 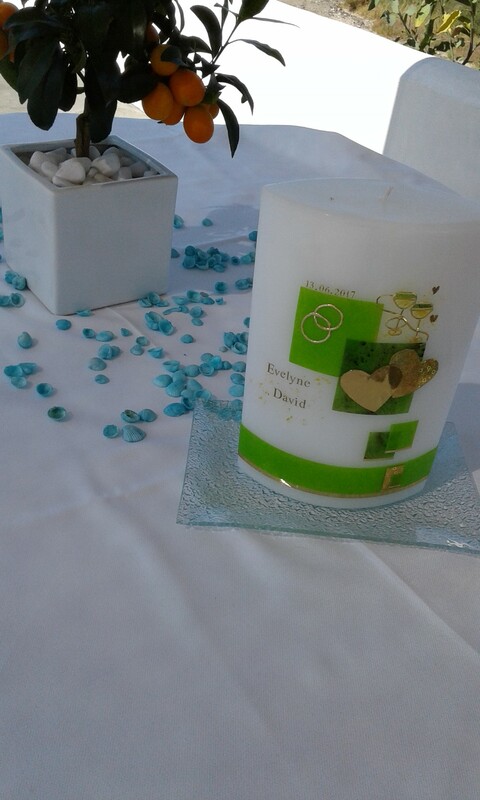 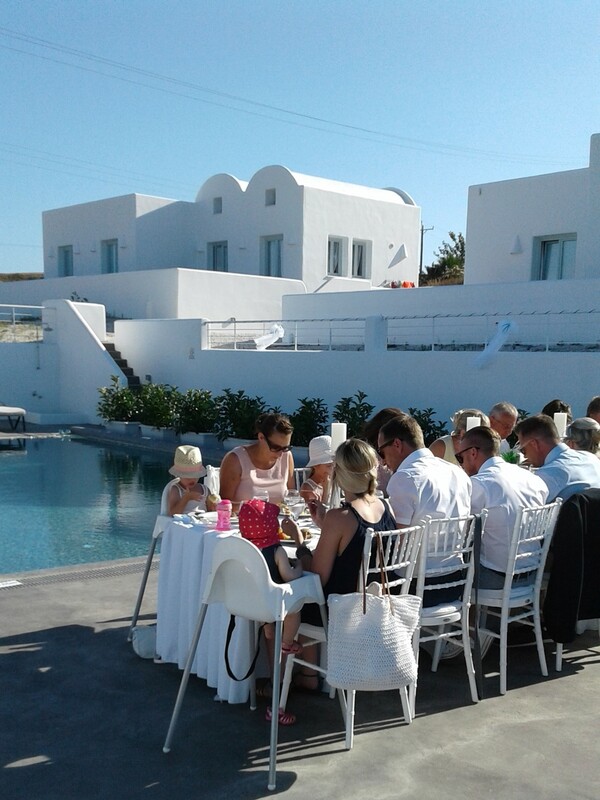 The perfect choice for a small to medium sized Wedding , honeymoon or anniversary celebration. 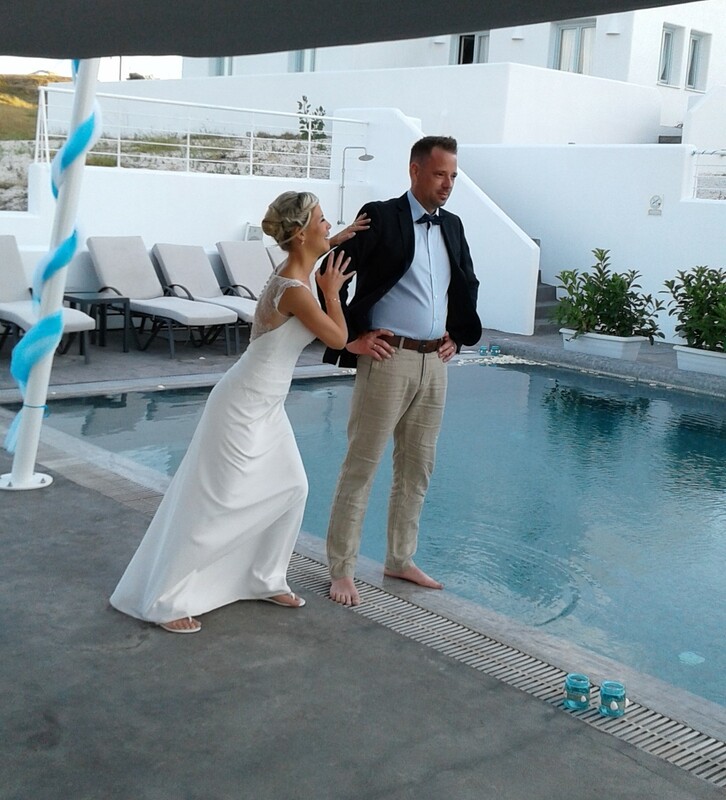 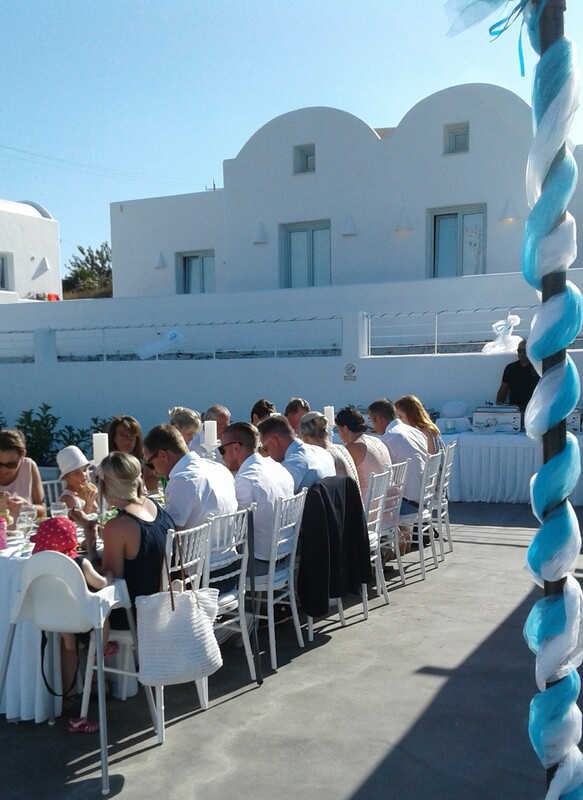 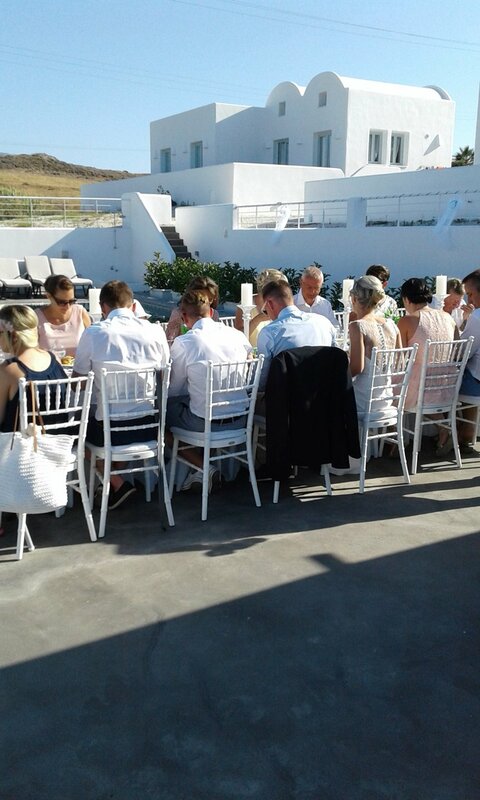 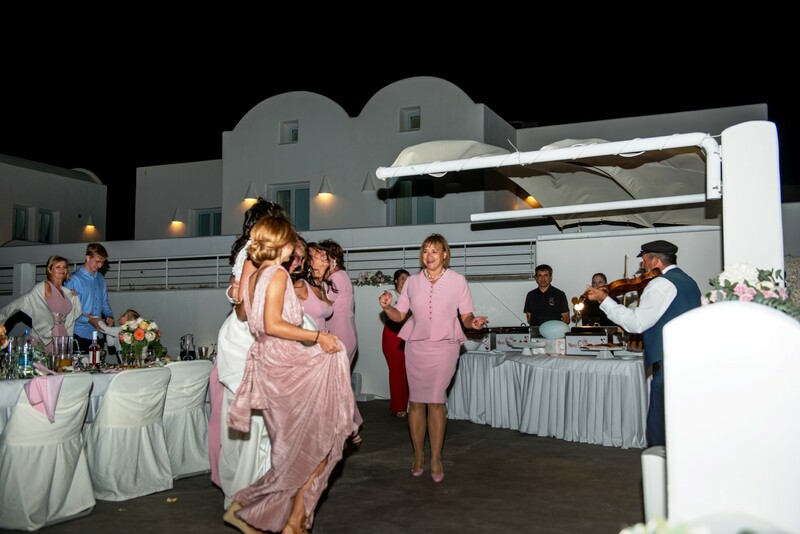 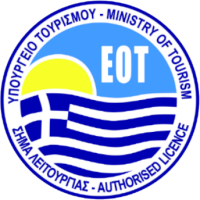 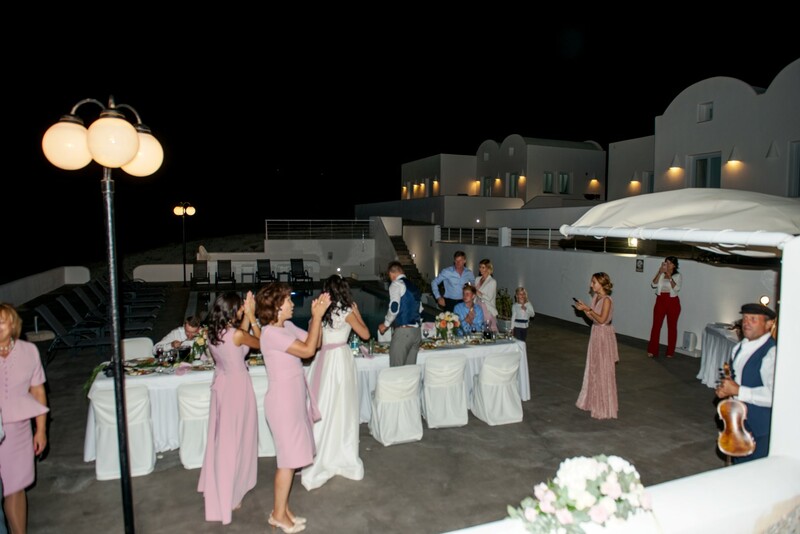 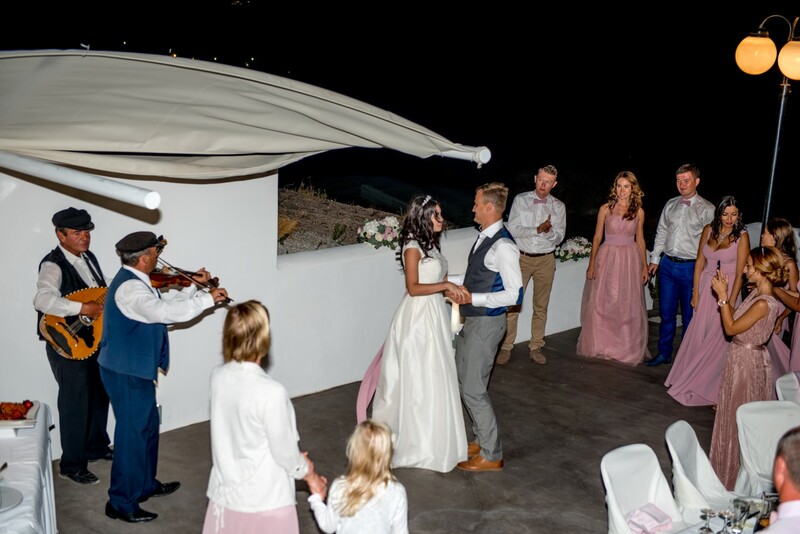 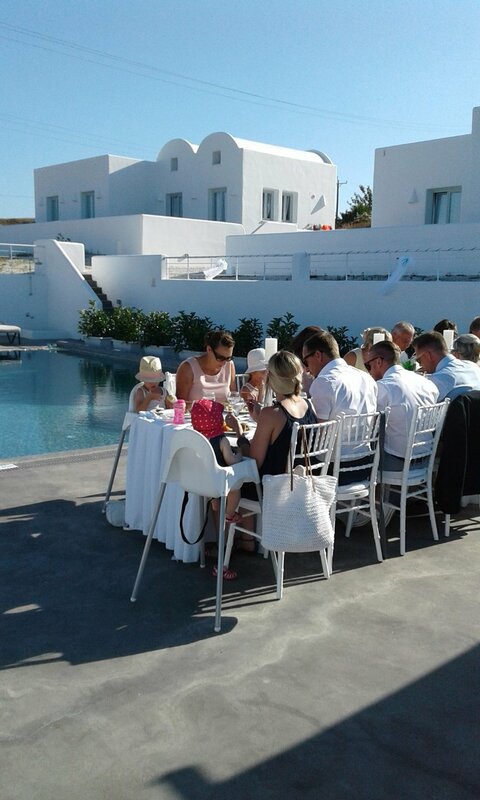 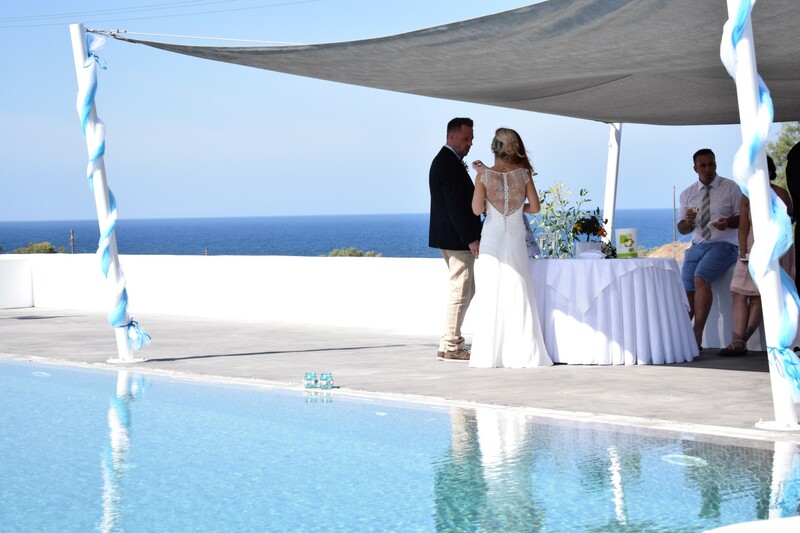 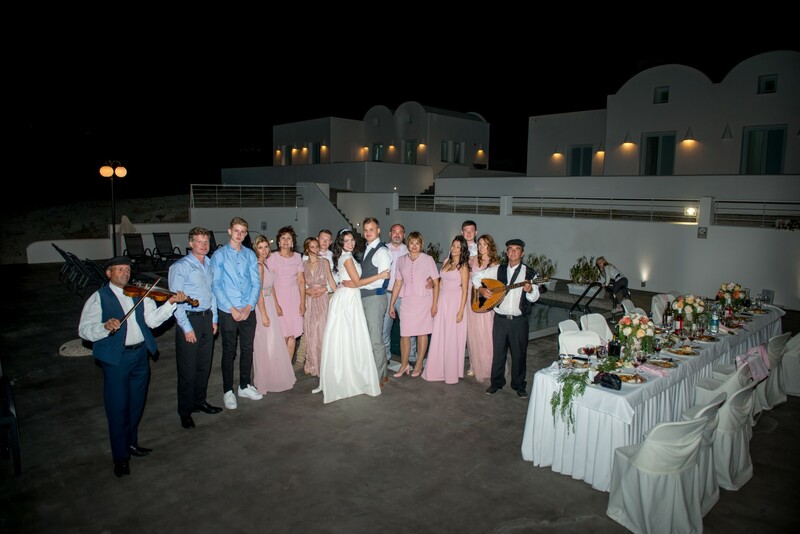 Our purpose is to provide you all the guidance and support for an unforgettable Wedding or Honeymoon vacation in Santorini. 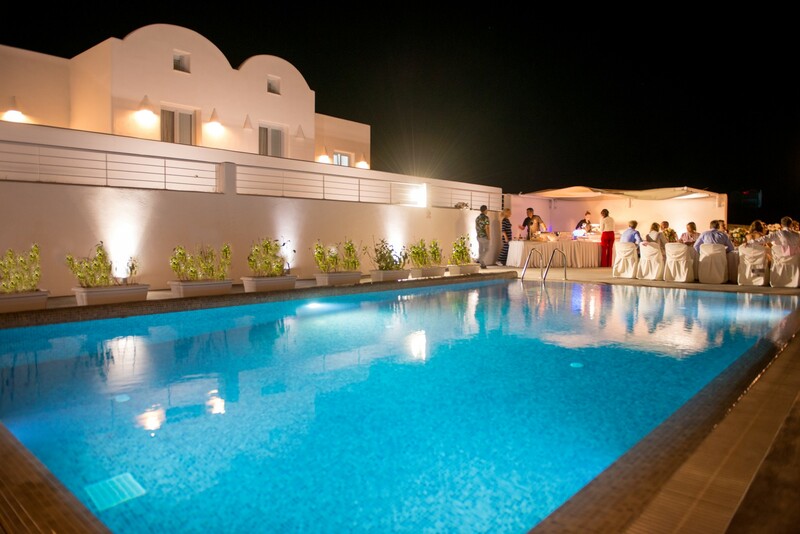 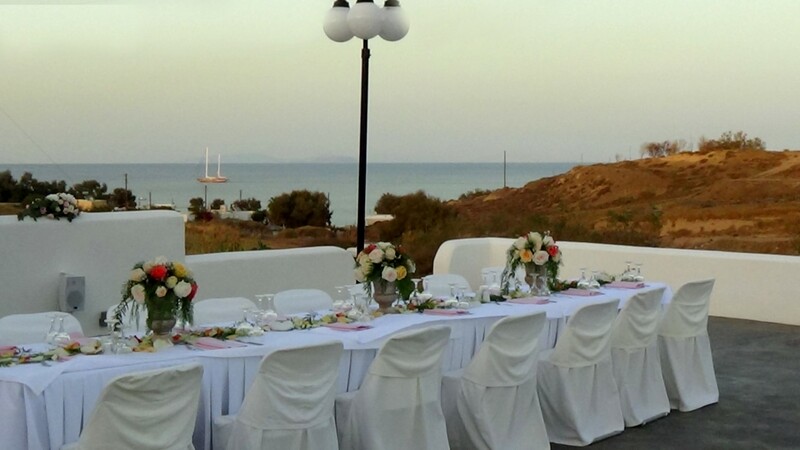 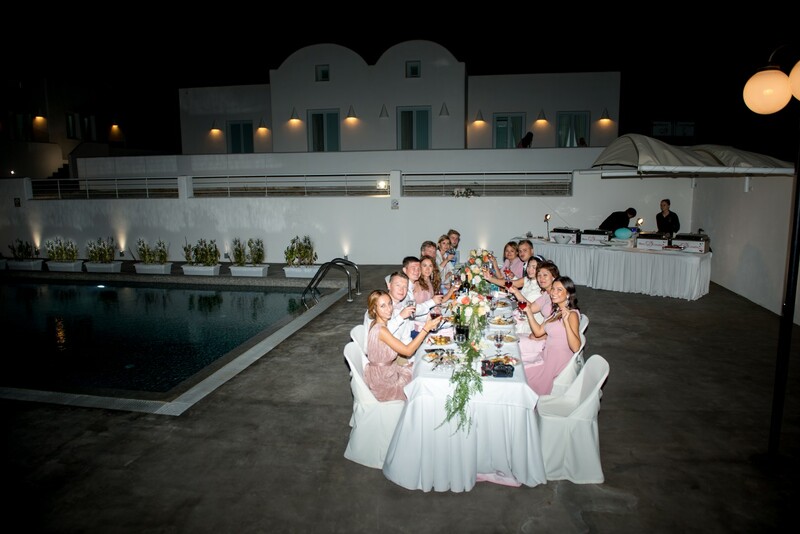 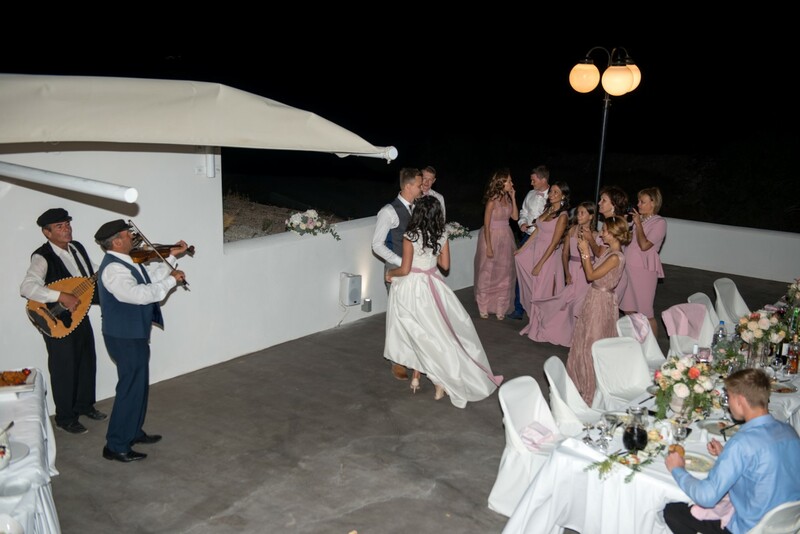 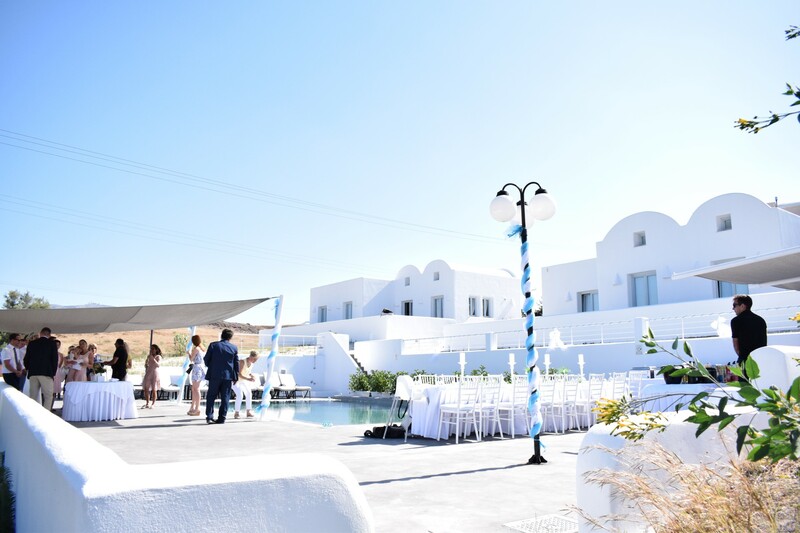 We provide you a full range of wedding planning services, with a complete package of accommodation and travel services in association the premier Online travel agency of Santorini. 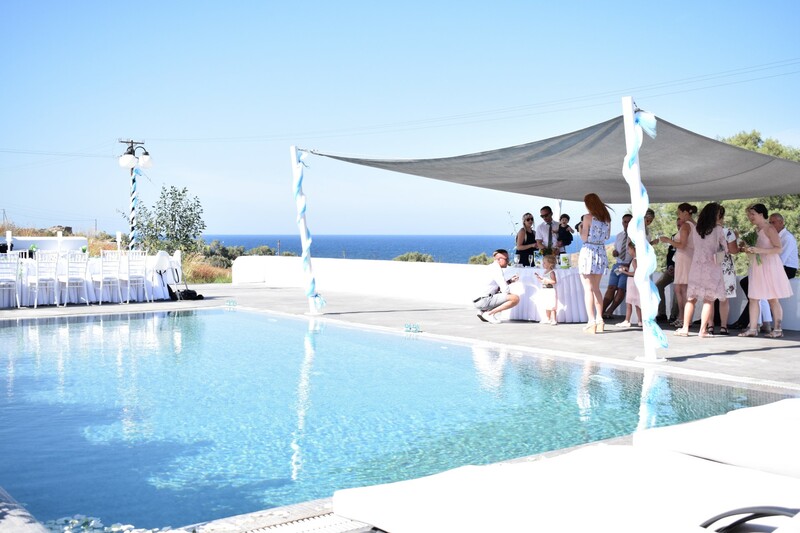 Please feel free to explore our website and get in touch with us for any questions or enquiries. 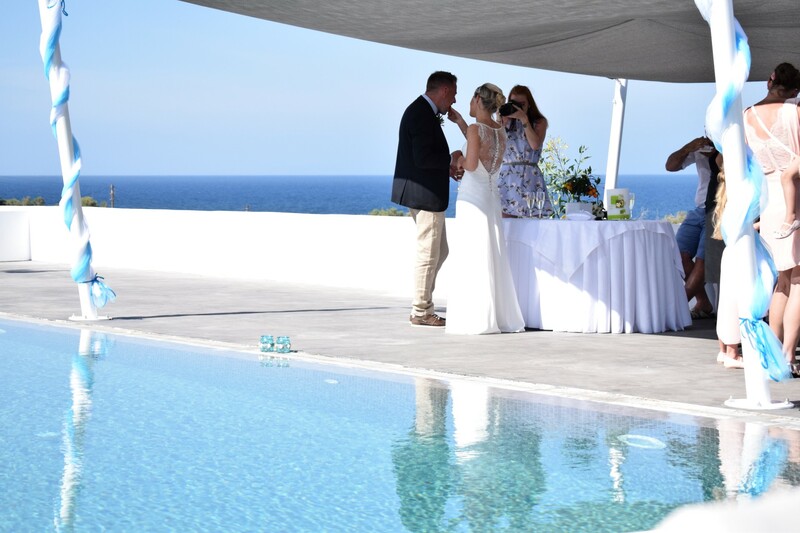 The deep blue of the Aegean, the breathtaking sunsets and the picturesque caldera set up the most romantic scene for your wedding. 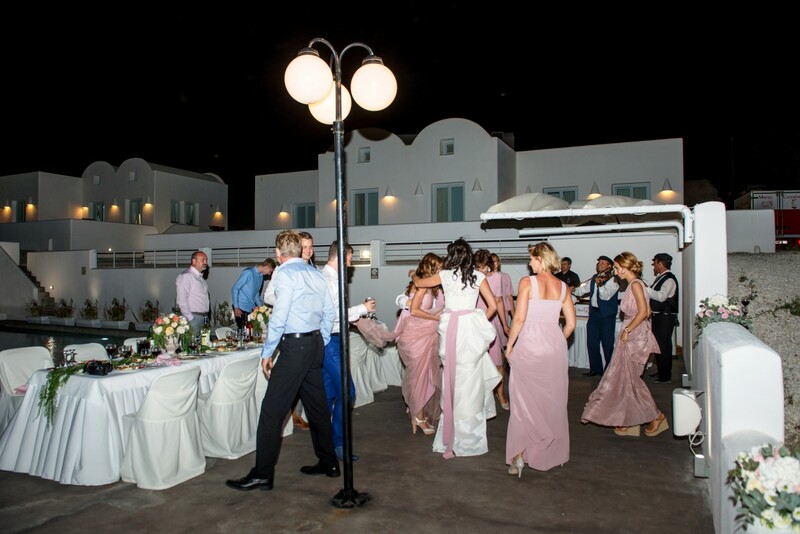 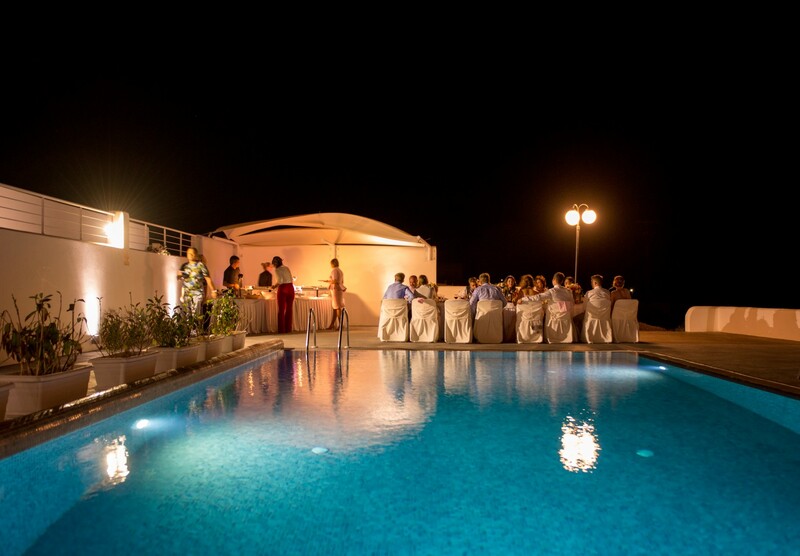 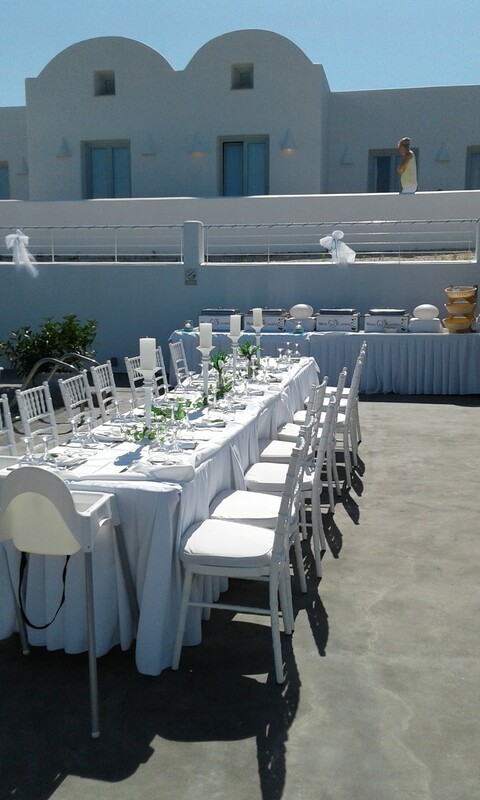 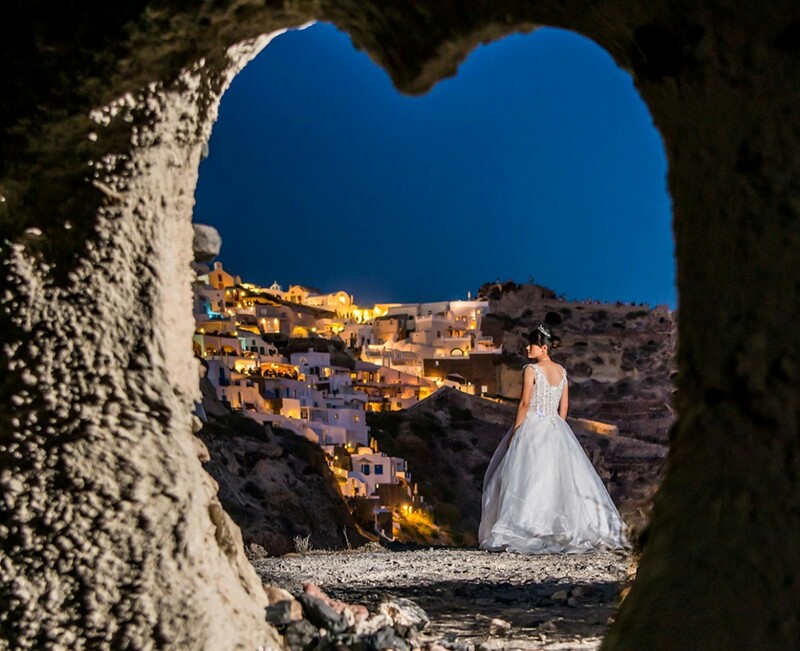 Let your dream of a fairy tale wedding come true in the awe – inspiring scenery of Santorini. 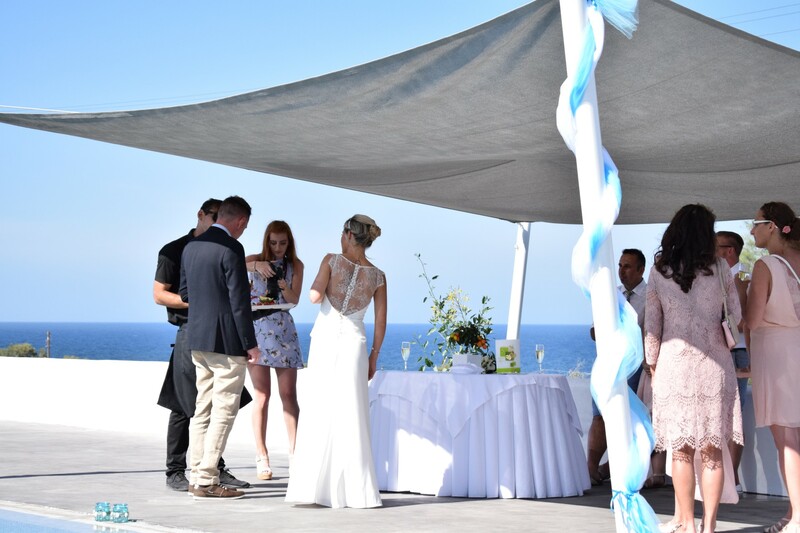 Exchange vows in a setting of unique beauty and mark the beginning of a life together within the magic aura of the infinite blue sea, the scarlet painted sky and the wildness of the volcano. 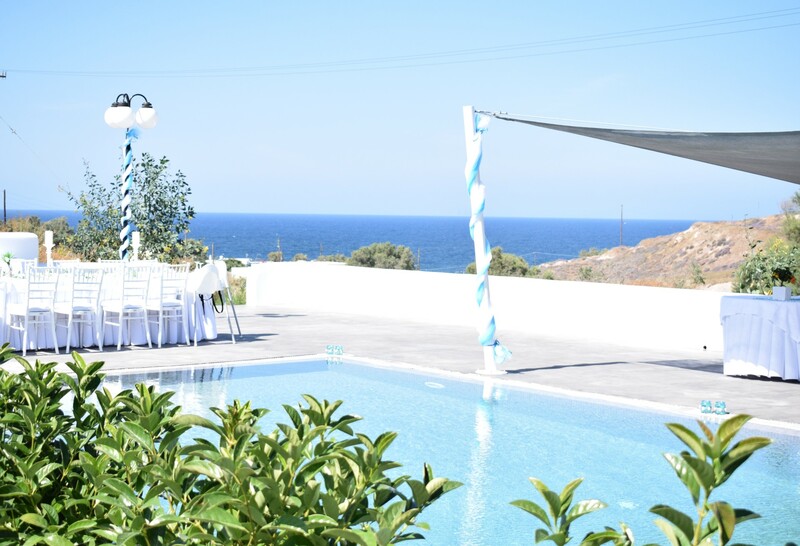 Accomodation in a private complex! 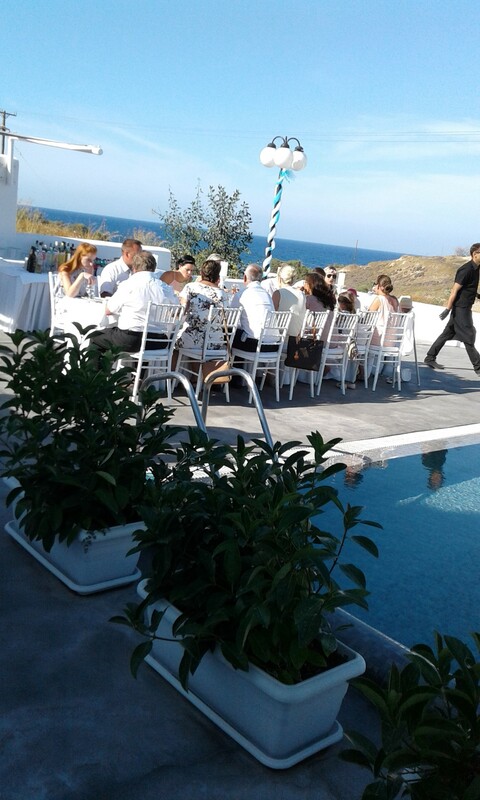 Wedding dinner around the swimming pool area, up to 40 guests.